Here's a real beauty... 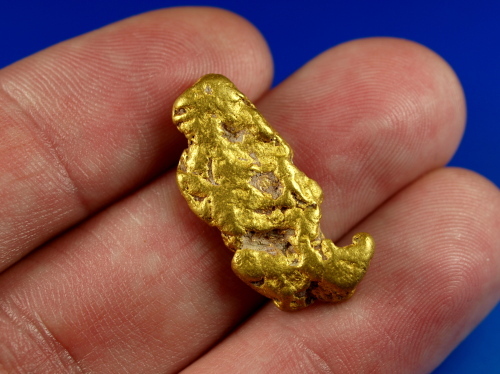 This gold nugget is naturally shaped like a cowboy boot. 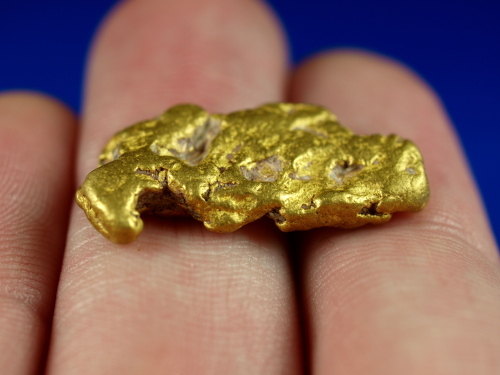 It comes from the famous Rich Hill area of Arizona. 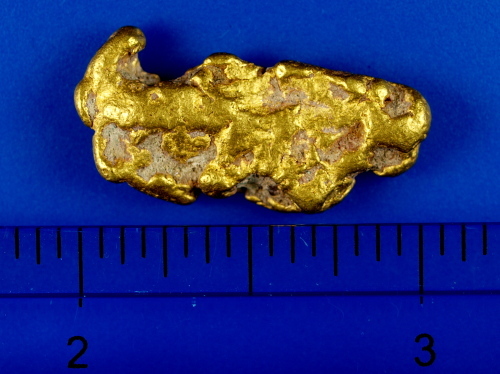 It's a nice hefty chunk of gold, weighing in at 11.60 grams. 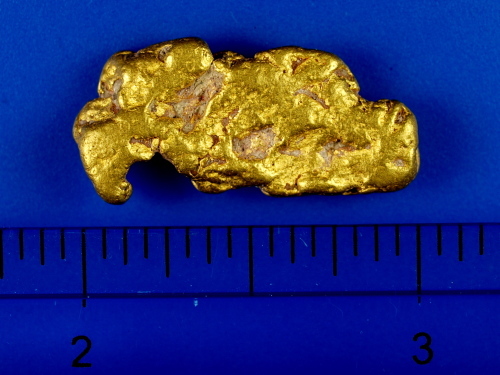 You can see a bit of natural material in some of the grooves on this nugget on the close-up photos, doesn't account for hardly any of the overall weight, but gives it that nice natural look. You won't be disappointed with this awesome nugget.